Three Letters from William Law on Mormonism. AN HONEST MAN'S VIEW AND REMORSE. The Nauvoo Hell--Its Deviltries Touched Upon--The Sort of "Kingdom of God" Joseph Smith Fixed up for Himself--A Plain Portrayal . facts, that his book is the most valuable on the subject that has ever been published. If there are any errors they are only in dates, names and minor details, and of no importance to the history and the facts--mistakes only of memory and small matters that affect nothing. It is to be remembered, however, that Dr. Wyl has not willfully misrepresented anything, but has good foundation even for incidents in which he cannot relate minutest particulars correctly. Considering the time that has elapsed since the history of this "peculiar people" began, the distant or obscure places where the acts were committed, the lying spirit of the fraud, and the character of the people, and the willful perversion of facts recorded by themselves in their own history of the "church," he has produced a wonderful work. human nature, is insight and foresight enable him to wind his way into the confidence of his subjects, and draw from them truths that they would otherwise unwillingly reveal. By the merest accident, while Dr. Wyl was in Denver, preparing his second volume of "Mormon Portraits" he learned that Mr. William Law, whilom [who was?] Jos. Smith's "counselor" in Nauvoo, is still alive, and practicing medicine in Wisconsin. Dr. Wyl set his wits to work on obtaining information from Mr. Law, and to have the pleasure of interviewing him. He wrote to the gentleman and received three letters in reply to his several letter of inquiry. Mr. Law absolutely refused to be interviewed. A fund of valuable, reliable testimony was elicited by this correspondence and subsequently by aid of the mediation of Mr. Law's son an interview was obtained containing the most interesting disclosures, and incidents in the life of Mormonism in Nauvoo while Mr. Law resided there. We give below a copy of three letters received by Dr. Wyl fro Dr. William Law, in which will be seen the honesty, truthfulness and sincerity of the writer, and that he feels it an eternal disgrace to be mentioned even that he lived among such an infamous community, although opposing their diabolical teachings and corrupt practices. The old gentleman is exceedingly sensitive and really condemns himself for his innocent weakness. In being once with such a treasonable, wicked crew, running under the name of religion. SHULLSBURG, Wis., Jan. 7, 1887. Dr. W. Wyl :--Dear Sir: I received yours of the 24th ult. also your book. Please accept thanks. I have not been well for three or four weeks, hence delay answering. You say it is very important to you to know, "if I am the Law who played such an important part in the Nauvoo events of 1843 and 1844." I am unfortunately the one . I cannot see how you are at all interested in my identity, for I assure you I have retired for ever from the Mormon controversy. When I left Nauvoo I left Mormonism behind, believing that I had done my part faithfully, even at the risk of my life, and believing. also, that the Expositor would continue to do the work it was intended to do. The Smiths thought they had killed it; whereas, by destroying the press, they gave it a new lease of life and extra power to overthrow them and drive their followers from the State. I have looked over your book, and am astonished at the amount of matter you have gathered together; it seems to me that you know at least ten times as much about Mormonism as I do, or ever did. I never resided with the Mormons as a people, only during my short stay in Nauvoo. I think that to have a thorough knowledge of any people it is necessary to live amongst them a considerable length of time. Before reading your book I had but very little knowledge of the family history of the Smiths or Rigdon; had never inquired into the particulars. After I left Nauvoo I did not care or trouble myself about them. I had no personal knowledge of the swindling and other wicked doing at Kirtland, nor did I know anything about the Missouri trouble; was told that their troubles in Ohio and Missouri all grew out of "religious persecution." I went from my home in Canada to Navuoo and found a very poor, but industrious people; they appeared to be moral and religiously disposed; the Smiths and others preached morality and brotherly kindness every Sunday. I saw nothing wrong until after the city charter was obtained. A change was soon apparent; the laws of the country were set at defiance and although outwardly everything was smooth, the under current was most vile and obnoxious. Time revealed to me and to many others much that we had not even suspected. We were kept in the dark as long as possible and held up before the public as examples of the Mormon people. Well, you know what followed. I believe you have endeavored to give a true account or history of the Mormons and Mormonism and I think you have succeeded wonderfully well. Your informants, however, may, now and then, have drawn a little on their imagination, may have reached false conclusions in some instances judged from circumstances and not from facts; doing injustice, perhaps, to the innocent. Where testimony conflicts it is sometimes very difficult to form conclusions. Mormon history is rather a mixed up affair. I would call your attention to one or two little mistakes concerning myself. You say I was a general in the Nauvoo legion. I never was, never held a commission of any kind in it. I sometimes (by request) assisted in drilling the men. having a little knowledge of military tactics. My Brother Wilson held a general's commission from Governor Carlin. My brother was not a Mormon. On page 108 you speak of "swapping wives," and state that you have it from one who knows. Now let me say to you that I never heard of it till I read it in your book. Your informant must have been deceived or willfully lied to you. Joseph Smith never proposed anything of the kind to me or to my wife; both he and Emma knew our sentiments in relation to spiritual wives and polygamy; knew that we were immoveably [sic] opposed to polygamy in any and every form; that we were so subsequent events proved. The story may have grown out of the fact that Joseph offered to furnish his wife, Emma, with a substitute for him, by way of compensation for his neglect of her, on condition that she would forever stop her opposition to polygamy and permit him to enjoy his young wives in peace and keep some of them in her house and to be well treated, etc. The great mistake of my [life was my] having anything to do with Mormonism. I feel [it to] be a deep disgrace and never speak of it when I can avoid it; for over forty years I have been almost entirely silent on the subject and will so continue after his. Accept my kind regards. In the foregoing it will be seen that Mr. Law was innocent of the many evils that existed in Nauvoo, hence he can can [sic] tell but little, but that little is true and of value; and being unsuspecting in disposition he does not pretend to know all, but what he knew he knew. He believed for years the "priesthood" tales of persecution, without inquiring or questioning. On "exchange of wives" he was not fully informed, but there is abundant testimony that it was practiced there frequently. His remarks on the Nauvoo Charter are in consonance with the whole history, spirit and purpose of Mormonism, and it is valuable at the present time when the "Church" and its "heads" are clamoring for Statehood. Let the words of Dr. Law, which are the expression of his experience forty-four years ago, be kept in memory: "I saw nothing wrong until after the City Charter was obtained. A change was soon apparent, the laws of the country were set at defiance, and although outwardly everything was smooth, the undercurrent was vile and obnoxious. Time revealed to me and many others much that we had not suspected." etc. Let our Gentile friends fast read and ponder, and our fellow citizens in Utah be prepared to avert the fearful evil and its consequences of Statehood in Utah as present. We can see now more clearly as we have seen all along, that Joseph Smith withdrew his proffer to give Emma a "substitute", for it is so stated between the lines in the pseudo "revelation" on polygamy and all corroborative of Dr. Law's Testimony. Sidney Rigdon "was a disappointed man" indeed! 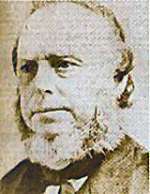 He, the originator of the fraud, the manipulator of Spalding's story into the "Book of Mormon," a visionary and speculator on the teachings and prophecies of Scripture, aspired to be a Church founder and a leader, as were the Campbells, and he used young Joseph Smith, the peep-stone fellow, for that end, but Joe liked the ruse, like the honor himself and kept Sidney back as well as he could. Sidney now and then appeared as the "head," as when he washed Joe's feet in imitation of Jesus washing his followers' feet. Sidney, the originator of Mormonism "was disappointed." SHULLSBURG, La Fayette Co., Wis. Jan. 20, 1887. Dr. W. Wyl : Sir: I duly received yours of the 12th inst. I now reply: in looking over your book again. I remain of the opinion that your knowledge of Mormonism or the leaders of it is very extensive and as I said before, far greater than mine. I admit also, that the work may do some good in the world; and yet to me it brings humiliation, deep mortification and pain. The case stands like this: in your book you give a most appalling, black and horrible history (true, no doubt) of the Smiths. Rigdon and many others, leaders and members of the organization, show them guilty of almost every form of crime and abomination, murderers, robbers, thieves, swindlers, perjurers, fornicators, adulterers, polygamists denying the laws of God and man, a people not fit to live with or to associate with in any way. And then you go on to speak of different individuals, amongst them Wilson law and William Law as generals in the Nauvoo Legion, and that William Law also held the office of "vice-president" of the Church. You say, however, that the Laws were a "pretty good kind of men," and "would not be forced to prostitute their wives and daughters" etc. For this admission I thank you. Now see how this looks before the world! Associated with; residing with and doing business among such fiends, no matter how we endeavored to redeem ourselves, how we risked our lives and sacrificed our property, the world will only see the dark side that is given, for somehow it is natural for most people to see the faults and errors of their fellow beings, rather than the good that may be in them. For more than forty years I have kept Mormonism and all my past connected with it, out of my mind, and away from my friends and acquaintances so far as possible. Have never read any of the books published about the Mormons; never read Bennett's book, have kept no papers published in Nauvoo; haven't a scrap of any kind; the only number of the Expositor I had, some one carried off. My wife (at an early day) burned up the Book of Mormon and the Doctrine and Covenants. She said no Mormon work could find a place in her house. We have lived down a great measure the disgrace following our unfortunate association with the Mormons. We committed a great error , but no crime . This is my consolation, that we only erred in judgment . I said that in your book you spoke rather favorably of my brother and myself; of my wife, however, your remarks were far from flattering. She, were she living, would consider them insulting . You said she was much "admired and desired" by Smith; that Smith admired and lusted after many men's wives and daughters, is a fact , no doubt; but they could not help that. They or most of them considered his admiration an insult, and treated him with scorn. In return for this scorn, he generally managed to blacken their reputations--see the case of your friend, Mrs. Pratt, a good, virtuous woman. I will now take the trouble of showing you just how my wife and Joe Smith stood toward each other. Sometime in 1843 (I think), he ordered the Twelve to meet, and cut off from the Church William Law and his wife, also Dr. Foster, and to publish it in he Times aud Seasons at once. They did so. A few days after I saw the notice in the paper, I think it was the same day, met Elder John Taylor and remarked to him: You have been cutting off my wife and me from the Church. I asked him what the charges were, and who had made them. He said: "Brother Joseph ordered you cut off." He said further that Joseph had known for a long time that we were apostates, and further that my wife had been speaking evil of him for a long time; he had found it out, said she had slandered him, had lied about him without cause. I said: "Elder Taylor, my wife would not speak evil of yourself or anyone else without good cause. Joseph is the liar and not she, and as to the cutting off, it is illegal and contrary to the laws of the Church to cut off or condemn without a trial, simply by the command of a base tyrant , but you can tell His Majesty that we withdrew from the Church months ago; so his cutting off comes too late." My wife is dead over four years, and a truer, purer, more faithful wife never lived. My brother Wilson is also dead, these ten years. He stood by me in all my troubles at Nauvoo, risking his life, defying the "Destroying Angels" and all the rest of them. You would not wonder then that the reputation and memory of such a wife and such a brother, should be as dear to me as life itself. You asked me if the Expositor continued? No. When I spoke of its work continuing. I meant that its destruction gave it a new life and power to destroy its destroyers. For it was the chief factor in bringing about the death of the Smiths, and the expulsion of the Mormons from the State of Illinois. As to Emma's deathbed declaration, it was like her life, FALSE. If she ever had any good in her, Smith so demoralized her, that she had none left. Anything for money and power and gratification while she lived, and the same to her sons after her. She and the Smiths, as many as I knew, were infidels, if not atheists, at least I believe so. As to the history of Joseph Smith, I have but little to add to your knowledge of him. One trait was his jealousy of his friends, lest any of them should be esteemed before him in the eyes of the Church or of the public. He would destroy his best friend for the sake of a few hundred dollars. It was his policy to get away with a man's money, first, because he wanted it, and second, because he believed that in getting a man's money he deprived him of power and position, and left him in a measure helpless and dependent. He was a tyrant; self-exaltation and gratification of his grosser passions with an entire disregard of others rights. [sic] And of all morality, led to his destruction at last. Hyrum Smith was as evil as Joseph, but with less ability; he had, I think a little more caution. Joseph had a wonderful memory. Hyrum was short in that; was a very poor public talker, but a pretty good secret worker . Sidney Rigdon was very close. I could never fairly understand him. While I knew him he appeared like a disappointed man , very retired in his ways. He professed to be a great Biblical historian; he was an eloquent preacher. I can hardly think he intended to be a bad man; would be leader if he could. Bennett was a scoundrel, but very smart . I never became closely acquainted with him. Joseph thought he was using him, and he was using Joseph. They were a bad pair. Bennett wrote out the Nauvoo charter and was perhaps the one who got it granted. It was a wonderful charter; gave too much power ; it was a curse to the Mormons. The Higbee boys (or young men) were strong supporters of the Smiths until the death of their father; after that event they became bitter enemies; it was whispered that heir father had been foully dealt by, the Smiths being the cause; I never knew the facts; I believe the boys meant to do right. Dr. Foster was an Englishman, a fine surgeon and a wholehearted man, when I knew him. He was zealous in the cause, until he found out the wickedness of the Smiths and other leaders. He stood by me faithfully throughout our troubles, left Nauvoo with me and remained near me for more than a year, his family and mine being close friends. He afterwards moved south and I lost track of him. I never knew much of Orson Pratt, as he was off on missions most of the time that I was in Nauvoo. Brigham Young was a deep, quiet, wicked man ; kept his thoughts mostly to himself; I never understood him. John D. Lee was a leader in the Danite band; I knew but little of him. I cannot think of anything that you do not know already. For forty-five years I have kept from thinking (as far as I could) of my horrible experiences in Nauvoo; the dangers through which my family and myself and my brother passed; the disgrace attached to our names, on account of our association with such a gang. Consequently I have forgotten many things that I once knew; cannot bring them to my mind and it is exceedingly painful to me to try to remember anything connected with Mormonism; you must therefore be content with the effort that I have made; with what little information I have given you. I do not wish to be discourteous; but I cannot be interviewed. I have denied many others and must deny you. I trust you will not be offended, I am now in my 78th year and these things annoy me very much. I wish to pass the remainder of my life in quiet, in peace if I can. Since my wife's death I have been very lonesome and unhappy; while she lived I got along very well. I have prospered very much, notwithstanding Joseph's curse ; I have done a large medical practice--think I have been fairly successful; am retiring from it as fast as I can. will say now, that were you here I could not give you any more information than I have already given. We will therefore drop the matter just here. Wishing you success. I am yours, Wm. Law. In this letter he keenly feels the disgrace of his association with the Mormon fraud. His sensitiveness makes him unjustly condemn himself. But no honorable person will so apply [a] stigma to him. The theory of the Mormon "religion" is calculated to deceive the masses; it is the practical part, the hidden mysteries and treasonable purposes of the institution that are so mischievons [sic]; and when a man drawn by false pretense, and pions [pious?] presumption into such a vortex of iniquity, rids himself of its pollution, and manfully opposes its arrogance; he is to be praised rather than censured. Mr. Law shows the low cunning of the Church in making a virtue of "cutting off" members who withdraw, in order that the Church may hold up its hands in hold horror at sin, and try to blacken the character of people much their superior in morals, intellect and disposition. The same "dodge" is carried on still, but the public see through the little farce. Mormonism has learned nothing during its infamous history, and is no better now than when it ordered United States troops out of the Territory, and the spirit of its teachings led to murder at Mountain Meadows and many other places. Mr. Law shows that the Nauvoo City charter was a curse to the "Saints"--it gave them political power, as it would be a dreadful curse to Utah, and to none so much as to the Mormons, to bestow Statehood now on a rebellious community hiding from, or protecting those who hide from, or protecting those who hide from the consequences of persistent law-breaking. With what discrimination and truthfulness does he describe the persons alluded to in his letters. And yet the "half is not told," and never will be until eternity discloses the acts and infidelity and deception of the "church" if eternity will ever do it. SHULLSBURG, Wis., January 27, 1887. Dr. W. Wyl :--Dear Sir: Have just received your very kind letter and hasten to thank you for the good will expressed therein. I suppose you will have left Denver when this reaches that place. Years ago, soon after I left Nauvoo I was annoyed very frequently by receiving letters from parties asking for interviews and items about Nauvoo and the Mormons. I got tired of it all and said that no man or woman should ever interview me on that subject, and none ever shall . I am heartily sick of it all. I wish you all the success you can desire and think you must admit that I have done pretty well by you, and I wish you to believe me when I say that I have forgotten many things, which might be interesting. I cannot help it, would give you more information if I could. Will mention one item in relation to the Book of Mormon. You will find in the Book of Jacob (I think) a strong condemnation of polygamy. Read a little further and you will find; "If I the Lord will raise up a pure seed unto myself. I will command my people," or words to this effect. I have no Book of Mormon and may not quote correctly. This last passage opened a door for Joseph to command the priesthood to get all the wives they could and raise a pure seed to the Lord (I say to the Devil). Young Joe Smith, President of the "Reorganized," is a "chip off the old block" and would be just as bad as his father if he had the ability. David Whitmer is a crank and always was and so was Martin Harris. We can all sympathize with William Law, and thank him that even now his last words will vindicate him. The laws were honest, upright men; William was Joseph's counselor, and a prominent citizen, drawn into Mormonism by guile, their course was honorable, and their characters pure; they were held up as such by Smith and his associates, and were a source of pride to the "church." When, however, Mr. Law saw the immoral conduct of the leaders, learned their true purpose, and realized that their ambition was to subvert our republican principles, and make their adherents a brand of rebels, he and his friends withdrew from the unholy alliance like honest men. Joseph "cursed" him for effect, but--he was not cursed. What though Smith tried to blacken his character and that of his wife? The church has always pursued that course; and does so to this day, to better men and women than the maligners [sic] ever were. His latest testimony will do much to inform the country as to the beliefs--falsely called religious--designs and secret practices of the Mormon system to blind the eyes of American citizens, destroy our Republican Institutions under the guise of religion, and to build up the most tyrannic theocracy the world has ever seen, or fanatical and corrupt minds ever imagined. We are authorized to state that Dr. Wyl went to Shullsburg, Wisconsin, and succeeded in having an interview with the good man, William Law. He first visited Judge Law, his son, and by his mediation was introduced to the father. Dr. Wyl assures us that he secured such points and facts as put into the shade everything that has hitherto been published--facts showing the infamous history of the people of Nauvoo, during the reign of the Smiths and their apostles. We are promised the report of the interview which occupies fifty pages in the writer's journal. SALT LAKE CITY, June 20, 8187 [sic]. THE DAILY TRIBUNE: SALT LAKE CITY, SUNDAY MORNING, JULY 31, 1887. Elsewhere in this impression will be seen an interview between Wm. Law and Dr. Wyl. Of course THE TRIBUNE cannot vouch for the truth of the statements of Mr. Law; but he was for a long time First Counselor to JOSEPH SMITH; he was better loved than almost any other man by the Mormons; it seems he is now reverenced by his neighbors as one of the most loveable of men. He broke with the SMITHS when he found what a measureless and wicked fraud he had become involved in; he started a newspaper in Nauvoo to expose that fraud, but it, with the office, was destroyed by a mob shortly after the first edition was printed. Men here whose honesty no one doubts, vouch for the perfect truthfulness and superior abilities of the man. The career of JOSEPH SMITH, as portrayed in this interview, is something fearful when we consider that he pretended to be an oracle of God; but it was practically repeated in this valley. How a delusion so awful can continue to hold in thralldom the minds of men in other ways sensible, is one of the marvels of the age. A creed founded on fraud and enforced by assassination, here in this free country is most strange. That any pure woman was ever persuaded to accept its cruelties is only accountable on the theory that some women delight in sacrifice, if thereby they imagine that they are serving God. How any Government with all the accumulating proof can sill regard this as a religion and entrust with political power the men who entertained it, is beyond all comprehension. To Gentiles of Utah this story of JOSEPH SMITH'S life and ways in Nauvoo; the patching of one revelation to make it in accord with another; the preying upon women; the financial dishonor; the treachery in politics; the means resorted to to silence enemies; they have seen all this paralleled right here, and yet have seen the chief instrument in all the filth and wickedness worshipped [sic] as a god. If it was possible here why was it not in Nauvoo? It seems to us there is no remedy for the hallucination except to strike all power from this creed, and all men who believe in it, and then compel the children to attend school and to study mathematics and the other exact sciences, until their eyes shall be opened. The reference to the wife of JOSEPH SMITH clears up much which has always been obscure. Had she been all that the Saints here pictured her to be, her course could only be explained on the theory of woman's devotion. If she and her husband were working in accord to delude the rabble, then the whole thing is plain, because a vicious woman is more vicious than a vicious man. If she knew that another man had to make good the sums belonging to others that her husband had spent, and felt neither sorrow nor remorse, then she was bad clear through. If all SMITH'S property was in her name, then she was bad clear through. A man may secure his wife a homestead; if, when rich, he puts all his property in her name, it means he has acquired his means dishonestly, or is meditating a steal.